Several months ago, I started learning to spin fibers into yarn. It is an ancient art that I have seen demonstrated with a rock and a stick used as a drop spindle. Of course, we have moved beyond that and now drop spindles are much nicer. I believe I showed one earlier that I purchased. I had dyed some bamboo fiber in colors of blue and lavender. So lately in odd moments I have been spinning it into a lovely bamboo yarn. I will use this for weaving on my loom. 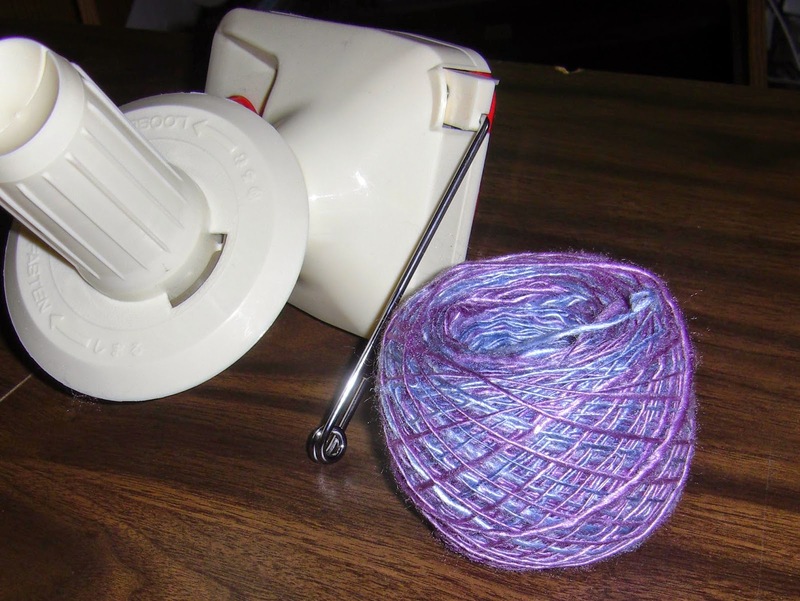 Here is a picture of the spindle with yarn on it. I have finally finished spinning all of the fiber I had dyed. It is now off the spindle and rolled into a center pull ball. 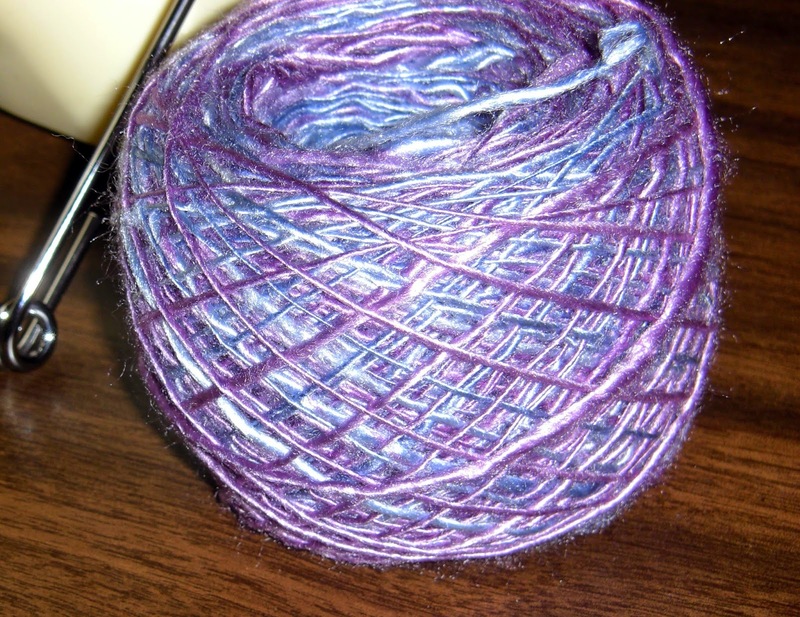 This yarn has a lovely shine and is soft as a dream. I used a yarn ball winder to make the center pull ball. Here is a picture of the two side by side. If you are interested in seeing how the ball winder works, there is a video that I made sometime back at this link. Some of my other videos (although not all of them) are easily accessible on the tab at the top labeled "Craft Videos"
That is gorgeous--one of my favorite colors. You do such beautiful work. I did get that winder BTW. Love it. beautiful yarn.....can't wait to see what you make with it! Simply beautiful, I'm sure, and in my favorite colors too. I love yarn with a sheen to it! I've never known much of anything about spinning as none of that seems to happen in the south any more. This is very interesting to me and your yarn is so beautiful. Thanks for sharing on this topic.